H’Hen Nie, the first Vietnamese woman to make it to the Top 5 of Miss Universe, jointed volunteers in an event in Hanoi on Friday to make a special gift for children in the remote northern mountainous region on the occasion of Lunar New Year. 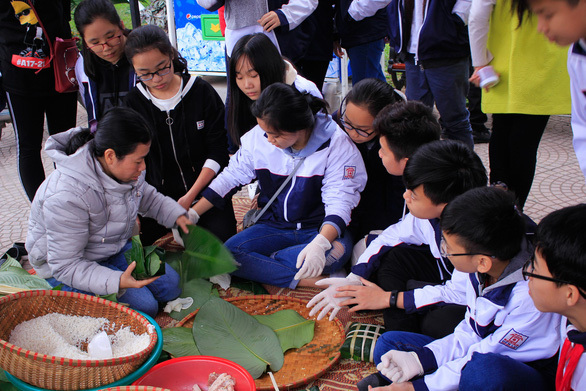 H’Hen and the students wrapped 1,000 banh chung (square glutinous rice cake), a delicacy to be eaten during the Lunar New Year (Tet), so needy kids in remote areas will be able to taste the specialty during the holiday that begins next month. Banh chung is the traditional rice cake for Tet in northern Vietnam, whereas people in the central and southern regions prefer banh tet, a glutinous rice cake in a log-like cylindrical shape.  Wrapping banh chung is the major event of the charity program “Tet chia se, Tet yeu thuong 2019” (Sharing Tet, loving Tet 2019), which is in its fifth edition this year. 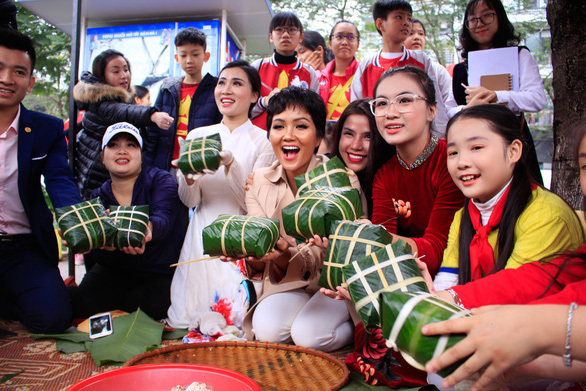 This year’s banh chung-wrapping event took place at Trinh Cong Son Walking Street in Hanoi on Friday with the special attendance of H’Hen Nie and local students. H'Hen Nie was crowned Miss Universe Vietnam in 2017 and made it to the Top 5 finalist at the 2018 Miss Universe, the highest ever finish for a Vietnamese contestant, at the beauty pageant in Thailand last month. “I feel very happy today because I have a chance to wrap banh chung for the first time, as people in my hometown only wrap banh tet on this ocassion,” said H’Hen Nie while expressing her joy of attending the event. H’Hen Nie was born and grown up in the Central Highlands province of Dak Lak, where the Tet delicacy is banh tet rather than banh chung. “I feel it’s more special when wrapping banh chung not for me but for children in remote areas,” the beauty queen added. With the event also attracting the participation of students in Hanoi, H’Hen said she is glad that these young people, who have apparently better conditions, could understand and show support to underprivileged children through this meaningful activity. After being wrapped with dong leaves, the 1,000 banh chung would be cooked and delivered to children in Moc Chau and Van Ho Districts in the northern province of Son La. Besides the banh chung, several other gifts such as warm clothes, books, notebooks, and school supplies will be handed to the children by H'Hen Nie as a warm, loving gift for Tet, which begins on February 5.